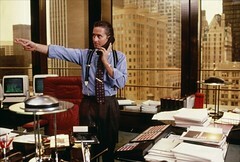 Greed is Good - What if Gordon Gekko was a Financial Advisor? You are here: Home / Financial Advisors / Greed is Good – What if Gordon Gekko was a Financial Advisor? Roger, love this post! I too am a Gekko fan, but agree we are all better with him not being an advisor! I would also wager he would not like to have any accountability or communication with clients – no annual update meetings for him! Thanks for the comment Andrea, I agree with you completely. There well may be high cost group annuity contracts through certain insurance companies, however the free market does an excellent job of “weeding” these companies out of the 401(k) marketplace. In addition we now have 408(b)2, which is a good thing. Typically in my 401(k) real world experience you’ll find group annuity contracts all in (investment management fees, admin / recordkeeping, advisor fee) on plans 200+ participants and $8M in assets at 1.00%. On a $4M plan with 60 participants all in 0.90%. Are you saying these total fees are eccessive under a group annuity contract? Thanks for your comment Scott. Clearly the arrangements you describe are more reasonable than the ones I’ve dealt with in the past I’d be interested in learning who the companies are. While the fees that describe are more reasonable they are not cheap. And I’ve never been quite clear as to the advantage of a group annuity plan in the first place. The one thing I’m always leery of with insurance companies are hidden fees. This is admittedly going back a few years but I had the opportunity to review one plan of a decent size with a major insurer and the biggest revenue generator was the spread between the gross interest rate on the guaranteed account and the net paid to participants. I suspect that this is not as easy to do anymore with the interest rates being so low. And you are right that 408(b)2 has made it harder to hide fees than in the past. Regardless, good points. He is a killer when it comes to deals and great at manipulation. Although those may not be admirable characteristics, in the second movie at the end when he is back on top, I’m sure those investors appreciated his foresight and talents. Thanks for your comment. His rebound in the 2nd movie was impressive. Certainly an interesting character in both movies. I also love the character and both movies. However, there are still far too many advisers who share Gekko’s values, unfortunately. Gekko’s character is alive and well in the financial industry. ‘Caveat Emptor’ still applies. Thanks for your comment Steve. Sadly I have to agree with you. Good post Roger! I love Gekko, though that would be like trusting our kids with a serial killer…nothing good could come from it, for us at least. Thanks John, interesting perspective LOL. Thank you for your comments regarding my perspective on 401(k) fees and what is reasonable. I find your use of the term “cheap” a bit troubling, as if cheap is better. As a consumer do you always purchase the cheapest items you can find? If you were seeking legal advice or perhaps you needed a cardiac or a neurosurgery procedure done would you simply base it upon cost, specifically the fee your attorney or doctor would be receiving? If you were in litigation with the IRS and your attorney was successful in saving you from a long jail stretch and fines, how much would you be willing to pay that individual? On the other hand, how much would you be willing to pay the surgeon who literally saved your life? While complete fee disclosure and transparency should be provided at all times, ultimately I believe it should be left to the client / consumer to then decide for themselves what is in their best interest. Adam Smith was correct that when free markets are allowed to work, they work wonderfully for all people. And on the subject of greed I’d like to refer you to the YouTube video of the late, great Milton Friedman explaining greed and human nature to Mr. Phil Donahue, back in the early 1990’s. Watch it and learn. Scott I just reread the post several times and didn’t spot the word “cheap” anywhere. Did I miss it? I agree with your examples but my father always taught me to ask how much and I do when engaging a professional. I also agree that the cheapest option is not always the best one when clients are looking for a financial advisor, but the most expensive option isn’t always the best either. Likewise with 401(k) plans. There are some bare-bones bargain basement options that may be right for some, but many plan sponsors want more. However in my experience overpaying for 401(k) plan services doesn’t always (or even often) bring better service or investment options. I’m still at a loss to understand the value of a group annuity contract. I’m not saying there isn’t some value, I just have no idea what that value might be. Roger, You used the term “cheap” in your response to my original post. As I know you’re well aware wirehouses will charge clients a wrap fee, many times well in excess of 1.50% in addition to the investment management fees associated with the actual investments. Also you’ll see these same well known wirehouses actively trading 75, 80 year old and older clients in and out of market. Why? Where is FINRA, why would they not question this type of trading activity? There are “bad people” not only in the financial services industry , but through out every profession. Fortunately, I believe the “Gekkos” are far from the rule, but rather the exception. As stated earlier, I believe in fee / commission transparency and then let the consumer / client decide what they feel is best for them. One size does not fit all. Scott cheap was used in the context of saying the arrangements that you described were not inexpensive, but were in the reasonable range. That still leaves me with the question as to why is the group annuity structure advantageous in a 401(k) plan setting at all? Why is this beneficial to either the plan sponsor or the participants? I truly do not understand and would like to. Roger, I’d be delighted to share my professional insights into the 401(k) marketplace with you offline. As I mentioned in my last message “One size does not fit all.” This is applicable to working with individual clients or 401(k) sponsors. I mention offline simply because there are too many aspects in discussing 401(k) fees that do not lend themselves to a full discussion on this website. Great idea disclosing fees. But make sure you walk you client through those fees in $’s not % to show stark numbers. There are a number of calculators on the Internet that show what a 2% mer truly costs over a span of 25 years. If you have a million $ of growth and contributions and $400,000 magically disappear to fees leaving you $600,0000 people need to see both those numbers. Not ” oh it’s only 2% a year nothing to worry about”. That should be transparent to every client. Paul thanks for your comment. Sadly in the world of annuity sales types transparency is often lacking. Scott my comment was based on some of the outrageous examples of excessive expenses/fees I’ve encountered over the years in the annuity arena, nothing more. Sorry I could not comment on your two posts until just now. Better late then never. Could you give an example in $ of what you feel is fair compensation. I think I was pretty clear with my comment above. Do you feel that 30 or 40% of the average persons life savings is a fair number for compensation. Not sure how you can make that blanket statement that front load + mer’s + DSC’s are equal compensation to how advisers are paid? There is a disconnect there. 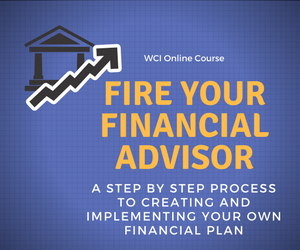 It’s quite possible an aggressive advisor could retire very young after signing up 50 clients and receiving continuing commissions as long as he keeps those clients just maintaining them. You may recall the famous line. Where are all the clients yachts? Paid fairly yes but not to the degree where it gets distorted as it does with many products out there now.